Discussion in 'Roleplay Institute' started by WavePearl, May 20, 2017. Idols...these multitalented boys and girls thrill audiences and capture the imaginations of millions with skill in music, acting, dancing, and modeling. But what you may not know is there is a magical secret to their success--a special kind of magic in the idol's heart known as a Star Power. There are thousands upon millions of Star Powers, and more are being discovered every day. In fact, the same costume may hold many Star Powers, and like Pokémon, grow more powerful and even evolve the more they are used. Angelic/Heroic--These idols have an aura of mystery about them, and can move entire audiences to laughter, cheers or tears. Of course, idols are not usually squarely set in one type, but mix and match parts of various types to create their own style. 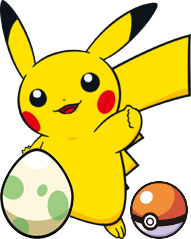 You play the role of an up and coming idol in the Pokeworld, and you are beginning training at Rainbow Music Academy in Celadon City, known best for the idol unit Miracolore--with the help of Miracolore and the other idols, what kind of song will you sing, what dramas will you act, or what clothes will you model to make your mark on the entertainment world? Character's basic appearance: Alyssa is on the tall and thin side. She has long, flowing, aqua hair to go along with her piercing red eyes that have a rather mysterious thing about them. Character's personality: Despite being harsh and mysterious, Alyssa can show her soft side at times, especially in delicate situations. Despite this, she's rather adamant about the decisions she makes, & will stand up to authority if the situation calls for it. Her on and off occupation as an artist hasn't been going over to well, so she's turned to the life of an idol to not only find if she has what it takes to succeed in such a career, but also to see if she can influence others looking to enter the same field. Alyssa isn't afraid to take the long, and most likely difficult journey all the way to the top. Characters should be no more than early 20's at the oldest. Oops, my bad. Fixed it, should be good now. All right, we'll get started! The sun shone down of a majestic idol academy somewhere in Kanto, where throngs of aspiring idols both male and female listened to the chief idol and principal welcome them. "...By coming here today, you will learn more than just how to dance around in cute costumes and sing..." Giggles went up at this. "You'll learn how to find your own unique voice as an idol, and make friends and memories that will last a lifetime." She smiled. "So on behalf of all of us here at Rainbow Idol Academy...welcome." Cheers filled the air as party poppers went off and confetti rained down on the grass before orderly lines began forming to receive their Superstar Pendants and be shown to their Closets, where the students would live while pursuing their idol studies. A black haired boy sighed nostalgically before toying with the red pendant he wore. "Seems like only yesterday you were one of those aspiring idols, Serena." "Yeah--I can't wait to see what this year's class brings." a blonde haired girl agreed. Alyssa looked down at herself one last time, then looked up at the giant, colorful building in front of her. "The Rainbow Music Academy. This is the place, the place where every idol I've admired has studied and trained at, and now it's my turn to start my journey to the top, and probably make some new friends on the way there too! I'm pretty nervous already, but I'm pretty sure it's just some first day jitters, so I think I'll be okay. Enough of this talking to yourself, Alyssa, it's time to show everybody what you're made of, so let's see what this place has to offer you and what you can offer it. Alyssa opened up the door and made her way to the room written on the paper she had been given. She took a peek inside and it was just as she had imagined it, filled with new idols just like her along with some more experienced ones, and of course, the chief idol, or the headmaster of the academy, she assumed. She finally entered the room and greeted everyone with a slight smile on her face. "H-hello everyone, this is my first day at the academy and it's nice to meet you all." Tour guides were waiting at the front of the line to show students to their Closets. They would show the students how to invoke the pendants to take them there, and disappear in an appropriately colored flash of light to Arceus knew where--at least to those still in line. Among the idols welcoming the new students to the academy was the idol unit Miracolore--four best friends who were a dual threat in both music and acting. The leader of the group, Brock, was known far and wide for his storytelling and music, but also an equally capable voice actor as well. He had started out with some bit parts and cameos, before getting his big break by voicing the Lucario idol Aaron Steele in the movie "Poketopia". That was quickly followed by his best known role--voicing and providing the drums for Midorichou, a major character in the TV show "Legendary Idol Kochou"
Ash was the energetic member of the group--skilled with wind instruments, singing and voice acting. His best known role was the title character of "Legendary Idol Kochou", but he was happy to play any heroic or comic role, making him the one to call for voicing heroes and goofy characters. On campus, he taught vocal classes and gave private lessons to those interested in playing flutes or the trumpet. He was never without Tintri, his faithful Pikachu, who was observing the crowd of students from his master's shoulder. Misty was often the group's media representative, but onstage, she sang as well as playing piano and her beloved fiddle, which often made an appearance when a song had a contry or folk flare, or a rock take on a session tune. On campus, she taught the communication classes, as well as offering private piano and fiddle lessons to any who wished to learn. Serena was Ash's best friend, but even though she had her own unique voice, her friend was still a deep influence on her style. Her favorite part of performing was the dancing, with the press often raving on her agility and skill. She had also be trying out voice acting, although she had yet to land a major role. On campus, she taught dance classes, and gave one on one dance lessons to any that wanted it or needed it. For the moment, her faithful Braxien Krystal was by her side, looking out the crowds. Alyssa looked wide-eyed and looked at the four main idols that sood at the front of the classroom, before getting in line to be shown her closet. Shr was still extremely nervous as she stood in line waiting for the tour guides. "I guess they're not one for intros, are they? That's fine by me, as long as I don't get ignored and actually get to improve on my singing and dancing, and probably learn some new things along the way as well. This is going to be a pretty good first day, I reckon." Alyssa kept her eye on both Ash and Serena. The two seemed to have a good combination of skills as well as good chemistry with each other too. 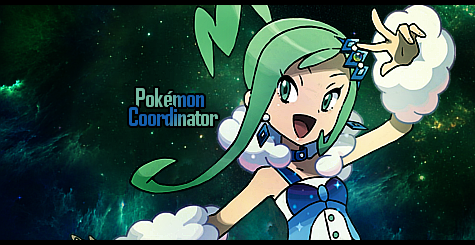 She looked at the other two as well & thought about improving her skills in those areas as well, so she could become a very well-rounded Pokémon Idol. She waited patiently as indistinct conversations were happening all around her & all the other young idols seemed to be friends, and it looked like she was the odd one out. She pouted to herelf for a while. "Maybe this will be a lot harder than I thought. How will I be able to compete amongst all these other idols, and more importantly, how will I be able to do so without trying to one-up them?" Luckily, the line moved quickly, and before long, it was Alyssa's turn in line. The registrar gave Alyssa a box with a ruby pendant inside. "Here you go--a guide will teach you how to use it." she explained. Alyssa took the box and thanked the registrar. "Time to see how this thing works." Alyssa made her way over to one of the guides. "First, tell your pendant 'Ruby Superstar, take me home'. the guide instructed. "This will take you to your Closet, which is your living quarters while you're here." Alyssa took a look at the pendant before saying the phrase she had been told. "Ruby Superstar, take me home." After saying the phrase, Alyssa was taken to her Closet. She looked around for a bit, wanting to see what her quarters had to offer. Alyssa arrived in what looked like a minimally decorated apartment. While it could make a decent living space, it needed that special touch--a bit of character. "I know it looks bare, but we haven't started decorating this Closet yet." the guide explained before showing Alyssa more rubies with icons on them. "The chair icon is for furniture, the thunderbolt for appliances and other devices, the music note for instruments and other gear, and the Pikachu head for Pokémon related gear." Alyssa looked around the apartment one more time. She agreed that it would suffice as a good living space for the time being & she also didn't mind about the minimal decoration that the apartment had, she was just happy to get somewhere to stay during her time here. "Thank you, it's very nice, glad to have somewhere to stay." Alyssa studied the icons meticulously and was pretty excited to try them out. In the school's main square, a large crowd was gathering in anticipation of Miracolore's annual welcome concert. The lights had been turned down, allowing a sea of red, yellow, blue, and green lightsticks to light up the room. Alyssa quickly scanned the area and joined the idols who's color was red. "I wonder who this Miracolore person is. They appear to be very popular and famous, if there's this many people waiting for their arrival. Plus the color schemes of the four main idols are really interesting. I guess we'll see what all the commotion's about once they arrive in the square, I suppose."